We know that the look, feel and space of every facility is different, so we have many taping station styles and options to meet the needs of any facility. This includes the availability of a custom number of seats and center cabinets as well as custom dimensions to fit in your specific space. 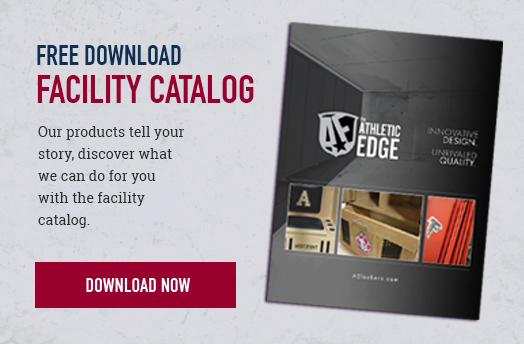 We have organized our taping stations into 5 categories to help you find which one is right for you and your facility: Flat, Tilt, Individual, Pro Tilt and Aluma Elite. Tilt taping stations offer the same exact options as flat taping stations except they include an attached back cushion and the 36" cabinet depth option is not available. The back cushion also has options for custom cushion branding including a logo slip cover, deboss logo or color edge print logo. Tilt taping stations are commonly placed against walls or placed back to back if space allows. 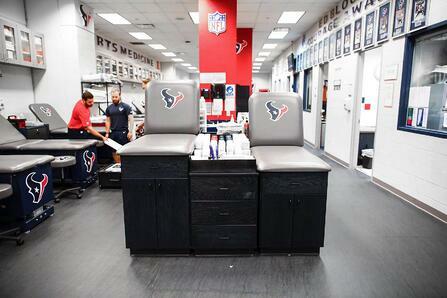 Sometimes there are spaces in athletic training rooms that are too small for multiple seat taping stations. That is where an individual tape station comes into play. 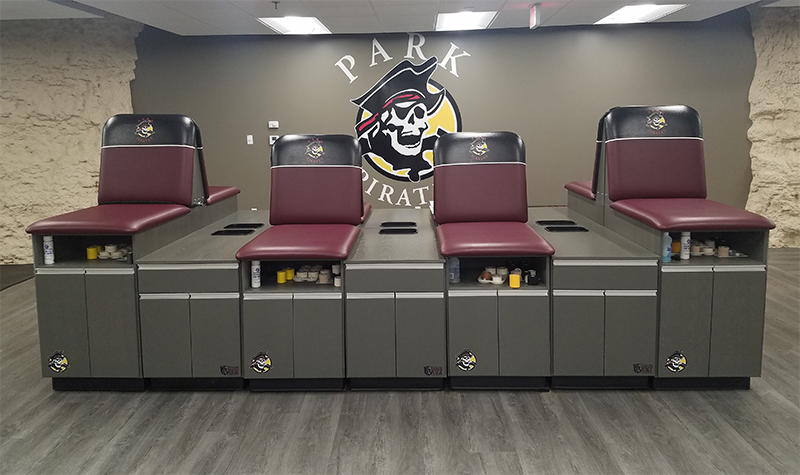 With all the same storage and cabinet configurations as the flat and tilt taping stations, this is a great option for smaller spaces or facilities that don't demand multiple seat taping stations. Like our taping stations but don't think the standard sizes fit your space? No problem! 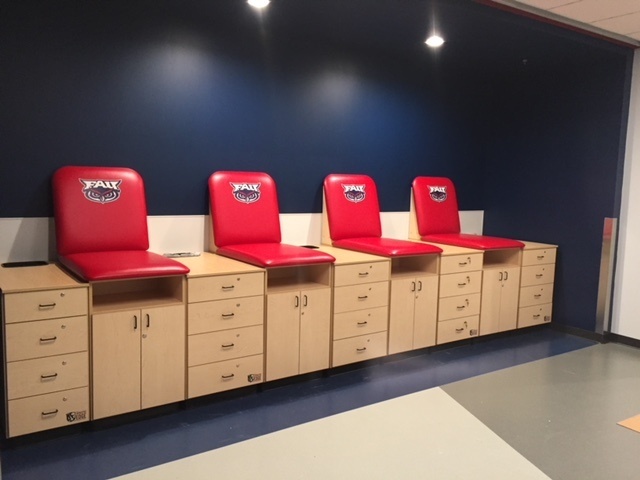 All of our taping stations allow for a custom number of seats, center cabinets and custom dimensions. We will work with you and come up with a design that fits your space.